Dimensions:76*127cm;suitable for age 3-8 years boys or girls. 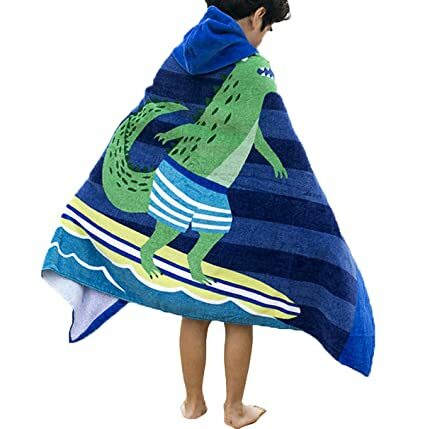 Ultimate comfort, warmth and softness;any kid will love the children's cotton hooded Towel. 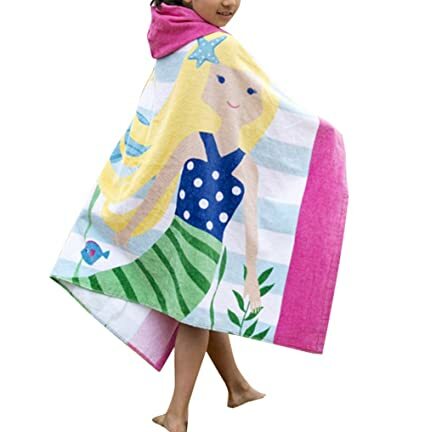 High Quality childrens towels, great for the beach, swimming baths or after bath time at home. Light weight cotton terry fabric pull-over, which helps to make it super soft. Note:Due to the light and screen differences, the item's color may be slightly different from the pictures.